Las Vegas (April 16, 2018) – Hundreds of adoring fans came out to the famed Las Vegas Strip in front of Planet Hollywood Resort & Casino today to welcome multi-platinum recording artist Gwen Stefani to Las Vegas. 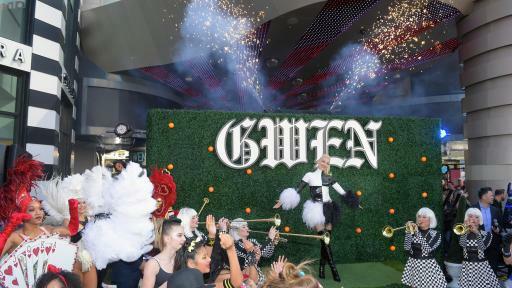 Caesars Entertainment President and CEO Mark Frissora and Live Nation Las Vegas President Kurt Melien greeted the global pop star and fashion icon, who will launch her residency show, “Gwen Stefani – Just A Girl” inside Zappos Theater at Planet Hollywood Resort & Casino on Wednesday, June 27, 2018. Stefani’s arrival to Planet Hollywood Friday morning was nothing short of spectacular. The celebration kicked off with an all-girl drum corps from local Foothill High School. The event also featured a troupe of dancers, skaters, cheerleaders and skateboarders who performed to a medley of Stefani’s greatest hits. Decked out in attire reflecting Stefani’s recording career and fashion evolution, the dancers delighted the crowd of well-wishers as they anxiously awaited the star’s arrival. Minutes in to the dance medley, the crowd’s attention turned toward The Strip, where a full-size semi-truck made its way down Las Vegas Boulevard. 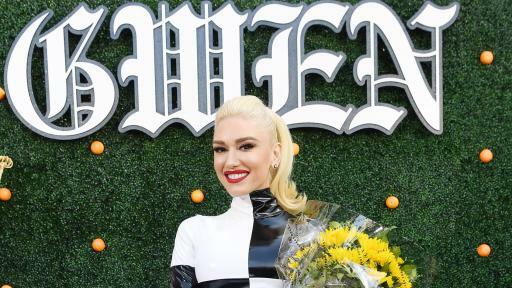 The truck, wrapped in “Gwen Stefani – Just A Girl” show art, drew gasps of delight from fans who were treated to a colorful daytime pyrotechnic show. Stopping in front of Planet Hollywood, the truck halted traffic along The Strip, allowing the dance performance to spill out into the street. Another group of dancers emerged from the truck, as showgirls lined the truck’s staircase in feathers. To the surprise of the crowd, as the showgirls pulled their fans back Stefani stood at the top of the stairs to reveal her grand entrance as more fireworks set off. Making her way up the steps to the property, Stefani stopped to greet fans and sign autographs as her most iconic hits, including “Sweet Escape” and “Hollaback Girl,” played overhead. Greeted by Caesars Entertainment, the parent company of Planet Hollywood Resort & Casino, and Live Nation executives, Stefani humbly addressed the crowd promising to deliver a great show. 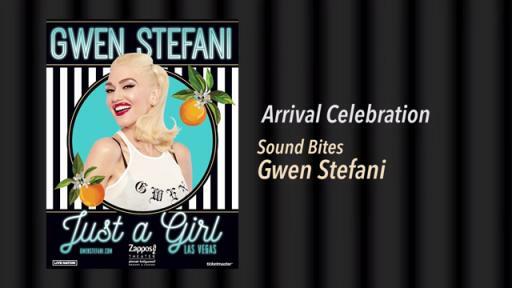 “I am so excited to have this opportunity to share my story and my music here in Vegas and am honored to be able to bring my show to the Zappos Theater,” said Stefani. Designed exclusively for Zappos Theater, Stefani will take the stage with a spectacular show like no other, celebrating the breadth of her illustrious musical career. The show, promoted by Live Nation and Caesars Entertainment, will further cement Las Vegas as the entertainment capital of the world. 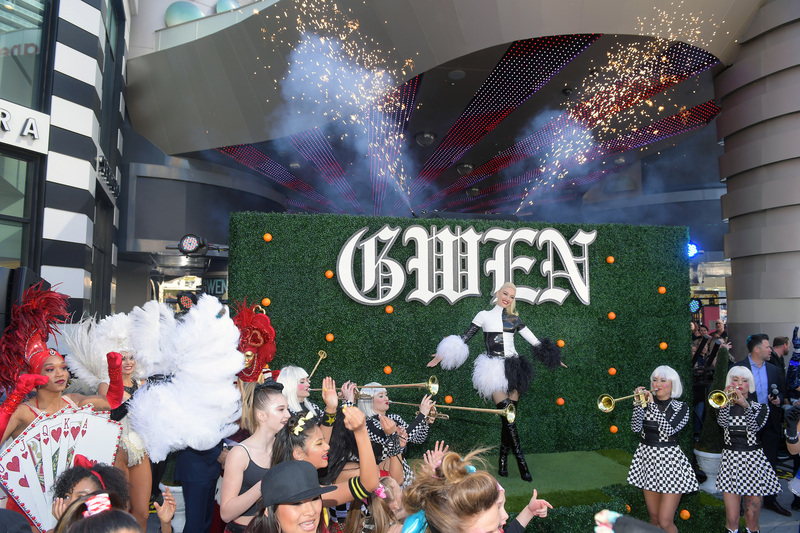 Stefani, Live Nation Las Vegas and Caesars Entertainment have also announced their partnership with Cure 4 The Kids Foundation, where $1 of every ticket purchased to “Gwen Stefani – Just A Girl” at Planet Hollywood Resort & Casino will be donated to the non-profit organization. Cure 4 The Kids Foundation is a Las Vegas-based nonprofit organization that provides medical treatment to children facing a number of life-threatening conditions. The donation will also allow Cure 4 The Kids Foundation to move into a state-of-the-art building, increasing the number of exam rooms and improving the patient treatment experience. A three-time GRAMMY® Award winner, Stefani has achieved worldwide success as a performer, songwriter, and recording artist who has sold more than 30 million albums worldwide with No Doubt and as a multi-platinum solo artist. In 2016, Stefani released her critically praised third album This Is What The Truth Feels Like which debuted at #1 on the Billboard Top 200 and featured the No. 1 single “Used To Love You.” This Is What The Truth Feels Like followed her other solo albums — Love.Angel.Music.Baby and The Sweet Escape - which featured the hit singles “Rich Girl,” “Sweet Escape,” “What Are You Waiting For?” and the Pharrell Williams-produced No. 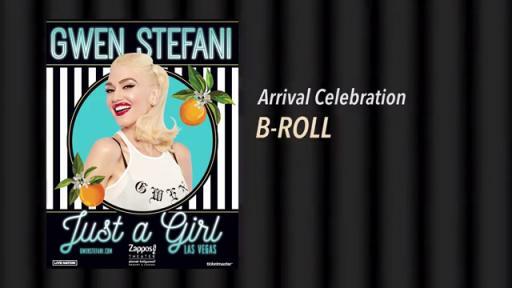 1 hit “Hollaback Girl.” Stefani returned to the road that summer with her acclaimed headlining This Is What The Truth Feels Like Tour that traveled throughout North America wrapping at the famed Irvine Meadows Amphitheatre marking the end of the venue’s 35-year history. Trendsetter Stefani is also widely recognized as an accomplished fashion designer and entrepreneur, having created much-loved lifestyle brands L.A.M.B. and Harajuku Lovers. In addition to her fashion and music ventures, Stefani launched her first children’s animated television series Kuu Kuu Harajuku on Nickelodeon. Co-created and executive produced by Stefani, the show follows the adventures of the all-girl band HJ5 -- Love, Angel, Music, Baby and G -- through their super cute fantasy world of music, fashion and style. Stefani wanted to create an animated series for young girls that celebrate creativity, imagination and individuality. Live Nation Entertainment (NYSE: LYV) is the world’s leading live entertainment company comprised of global market leaders: Ticketmaster, Live Nation & House of Blues Concerts, LN Media and Artist Nation Management. Live Nation Las Vegas produces residency shows from Gwen Stefani, Jennifer Lopez, Backstreet Boys, Lionel Richie and Pitbull at Zappos Theater at Planet Hollywood Resort & Casino; Bruno Mars and Ricky Martin at the Park Theater at Monte Carlo; and Il Divo, Rascal Flatts, Styx & Don Felder, Chicago, ZZ TOP and Earth, Wind & Fire at The Venetian Las Vegas. Live Nation Las Vegas also brings other world-famous artists to many of the city’s other premier concert venues including T-Mobile Arena, Mandalay Bay Events Center, MGM Grand Garden Arena, Las Vegas Village, Pearl Concert Theater at the Palms, House of Blues, Downtown Las Vegas Events Center, The Joint at Hard Rock Hotel & Casino Las Vegas, and more. For additional information, visit www.livenation.com. Find Live Nation Las Vegas on Facebook, Instagram and follow us on Twitter. Celebrating 10 years, Planet Hollywood Resort & Casino is the centerpiece of the famed Las Vegas Strip, with 2,500 beautifully redesigned guest rooms and suites showcasing some of the best views in town, along with endless options of unparalleled shopping, distinguished dining, popular entertainment and a bustling nightlife. A bright, bold addition to the resort’s portfolio, the new Ultra Hip Rooms feature contemporary elegance and luxury bedding. Known as the place to play for its roster of A-list celebrity guests, Planet Hollywood’s 231 newly restyled suites feature stunning views of the glittering skyline and daring décor elements such as suspended sofas, lounge-style living spaces and oversized modern artwork. The resort encompasses more than 100,000 square-feet of gaming, several lounges, ten restaurants including Gordon Ramsay Burger, KOI, Strip House, the award-winning Spice Market Buffet and LA’s Pink’s Hot Dogs, an intimate wedding chapel and the Planet Hollywood Spa by Mandara. 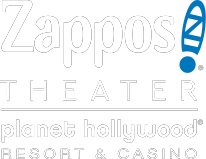 Home to the first pop music residency in Las Vegas, Zappos Theater showcases resident headliners Jennifer Lopez, Lionel Richie, Pitbull, Backstreet Boys and Gwen Stefani (opening June 2018). The property is encircled by Miracle Mile Shops with more than 170 specialty stores and restaurants. Planet Hollywood Resort & Casino is operated by Caesars Entertainment (NYSE: CZR). For more information, please visit planethollywoodresort.com or the Caesars Entertainment Las Vegas media room. Find Planet Hollywood Resort & Casino on Facebook and follow on Twitter and Instagram.